During the two two-day meetings (30-31/01 and 06-07/02), IOM and CMCs addressed challenges encountered in 2016 and the importance of engaging communities to prioritize and shape project activities. The meeting included technical sessions emphasizing coordination mechanisms, as well as the roles and responsibilities of the various project stakeholders, in order to support the delivery of improved services, expanded opportunities and strengthened capacities to benefit the communities as a whole. “Having more educational space for students through the provision of mobile classrooms was remarkable last year in Al Qatrun,” said Hawa’ Ali, a civil society activist who is a CMC representative from Al Qatrun, reflecting on activities that have been realized. “We are hoping to implement more similar activities this year,” he added. An overall goal of the project is to achieve more stability and social cohesion in communities through prioritizing the main needs across municipalities. 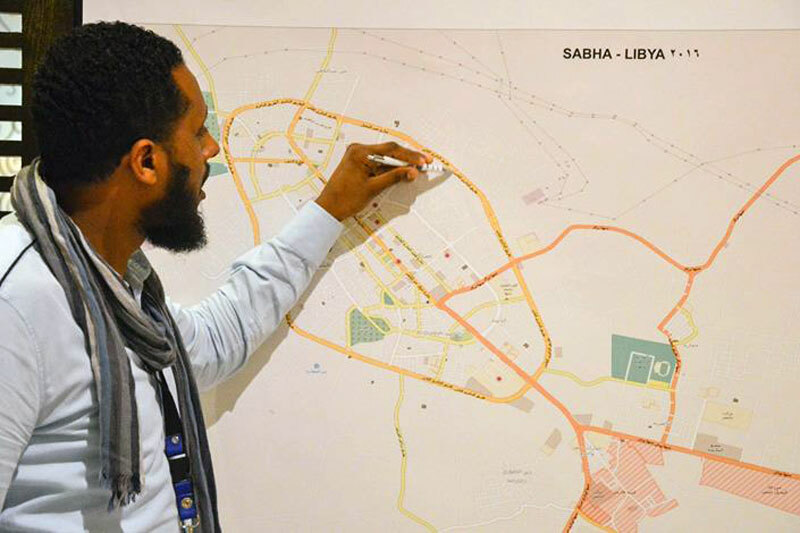 “It is very important for us that all communities in Sabha work together with IOM in order to identify and prioritize their needs,” said IOM Libya’s Kamal Alsharif at the coordination meeting in Sabha. “We will work to maintain this spirit of collaboration throughout all phases of the project,” he added. “Providing services to the community will help us bring all parties together and will bring more stability to the municipality,” said Mohammed Al-Magrahi, a community leader from Sabha. The community stabilization programme, which is supported by the Ministry of Local Governance, aims to promote stability and development for internally displaced persons (IDPs), migrants and local host communities in Libya. IOM Libya’s Community Stabilization programme is funded by Germany and the European Union’s Instrument Contributing to Stability and Peace (IcSP).